Style some statement pants into your wardrobe this season with our 'Go Unnoticed' pants! These high-waisted pants are perfect for styling with a vintage tee and channeling your inner vintage babe! 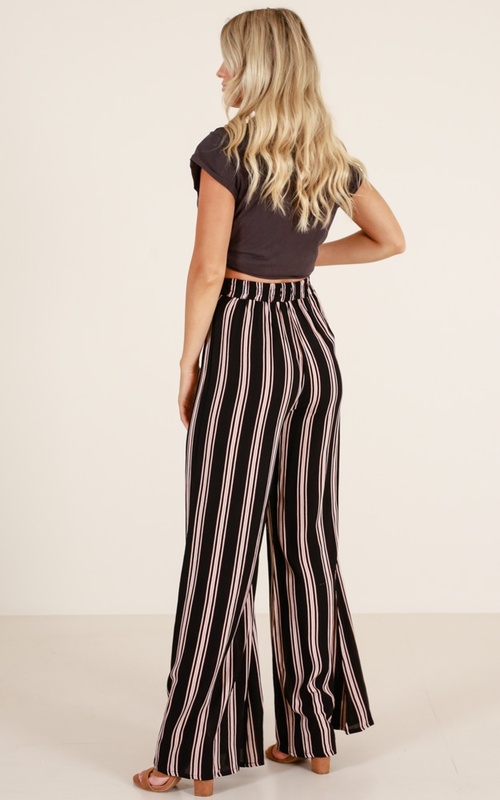 Filter By Height: Show All 5'3" 5'6" 5'9" 5'10"
These pants look gorgeous on the model but on myself they were tight around my bum and thighs and the stripes then went On a curve where they were pulling. I would suggest going a size up if you’re a bit curvier but the length would then probably be too long as these were quite long on me. I sent these back for a credit as they didn’t look very nice and they are a bit on the sheer side! Really comfortable, I had to have them hemmed as they were super long.